One of the lifelong dreams for an Indigenous hockey pioneer is about to come true. A national Indigenous men’s hockey tournament will be held in Saskatoon this April. 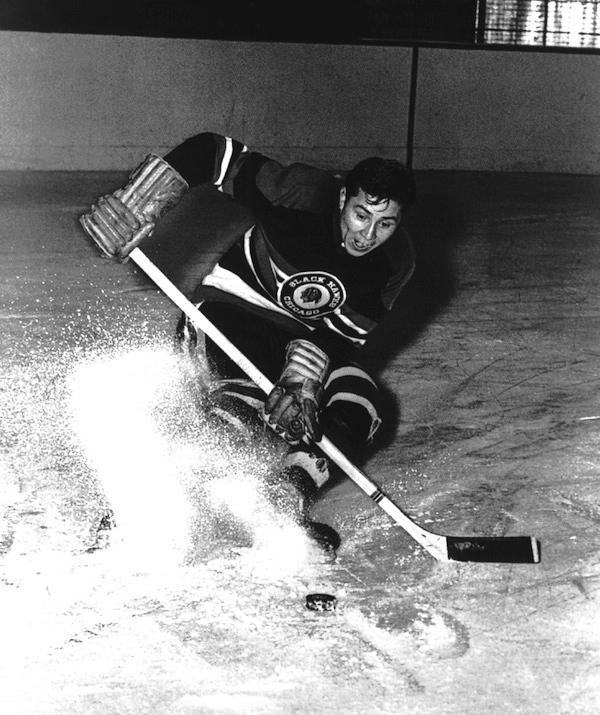 The event will honor Fred Sasakamoose, who has long been considered the first Indigenous man to play in the National Hockey League. The Fred Sasakamoose (Chief Thunderstick) National Hockey Championship is scheduled for April 26 to April 28 in Saskatoon. Besides pushing for a national Indigenous tournament for a long time, Sasakamoose has also been spreading the word for a number of years now that an Indigenous hockey club should be included in the Winter Olympics. Sasakamoose, who turned 85 on Dec. 25, was given the name Chief Thunderstick by representatives of the Kamloops Indian Band, when he played senior men’s hockey in B.C. during the late 1950s. The April tournament will feature 32 squads from across the country. A tournament named in honor of Sasakamoose was also held in Saskatoon in each of the past three years. Those events primarily featured teams from Saskatchewan. The word national was added to this year’s tournament moniker. Besides Saskatchewan, this year’s event will include teams from Nova Scotia, Ontario, Quebec, Alberta, British Columbia and Nunavut. “It started out basically because people got together and wanted to honor my dad,” said Neil Sasakamoose, one of the tournament organizers. Running the tournament has become a family affair. Fred Sasakamoose had nine children and six of them are helping out with preparations for this year’s tournament. So too are several of his nieces and nephews. During the tournament’s inaugural year in 2016 a total of 16 teams took part. The following year the event also attracted 16 entrants. And then last year the tourney expanded and featured 28 clubs. By having various corporate sponsorships, since the tournament’s inception organizers have been able to waive entry fees for participating teams. The main corporate sponsors since the event’s beginning have been the Saskatchewan Indian Gaming Authority, the Battlefords Agency Tribal Chiefs and the Ahtahkapoop Cree Nation, Fred Sasakamoose’s home community. Plus, enough money is raised to offer to the tournament’s top performers. This year the top four finishers will split $45,000 in prize money. Members of the winning squad will share $25,000. The club that finishes second will earn $10,000. And the third-place and fourth-place teams will take home $5,000 each. Organizers had no problems filling up the maximum number of teams for this year’s event. In fact, there’s six clubs on a waiting list hoping to get in. A number of current professionals, as well as junior and university stars, have traditionally played in this tournament. Bear suited up for the Ochapowace Thunder, which represented his Ochapowace Nation at last year’s tournament. Also taking part at the 2018 tournament was Dwight King, who was a member of the 2012 and 2014 Stanley Cup champion Los Angeles Kings. King suited up for the Mistawasis Warriors last year. Neil Sasakamoose said he’s unsure which pro players will attend this year’s event. In many cases it depends on just how much of a playoff run their club has in its own league. “Teams don’t share their rosters with us until the very end,” he said. There is some speculation former NHLer Jordin Tootoo, who retired from the pro ranks this past October, might compete in the tournament. That’s because the Nunavut hamlet of Rankin Inlet, where Tootoo grew up, has entered a team into the national tournament. One thing that is for sure though is that Fred Sasakamoose is thrilled a national Indigenous tournament is about to become a reality. Though it was believed Sasakamoose was the first Indigenous player to make it to the NHL for a number of decades, recent research has shown there might have been others before him. Proving ancestry for some of these other individuals, however, has been difficult. Thus, Sasakamoose is now referred to as the first First Nations player with treaty status to play in the NHL.